Haul it all. 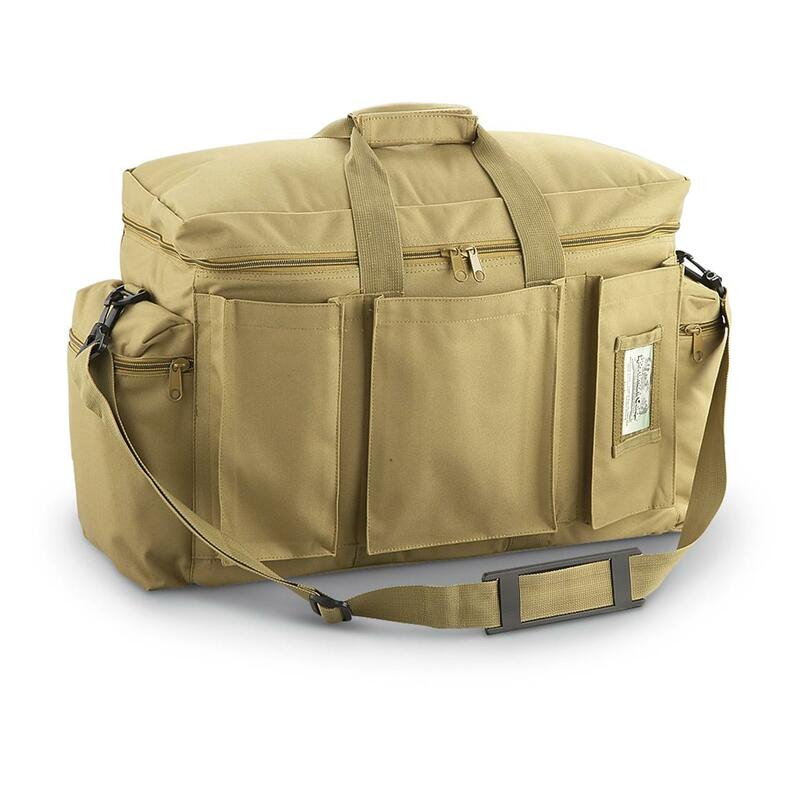 Military-style Tactical Gear Bag is a rugged Rambo-type. 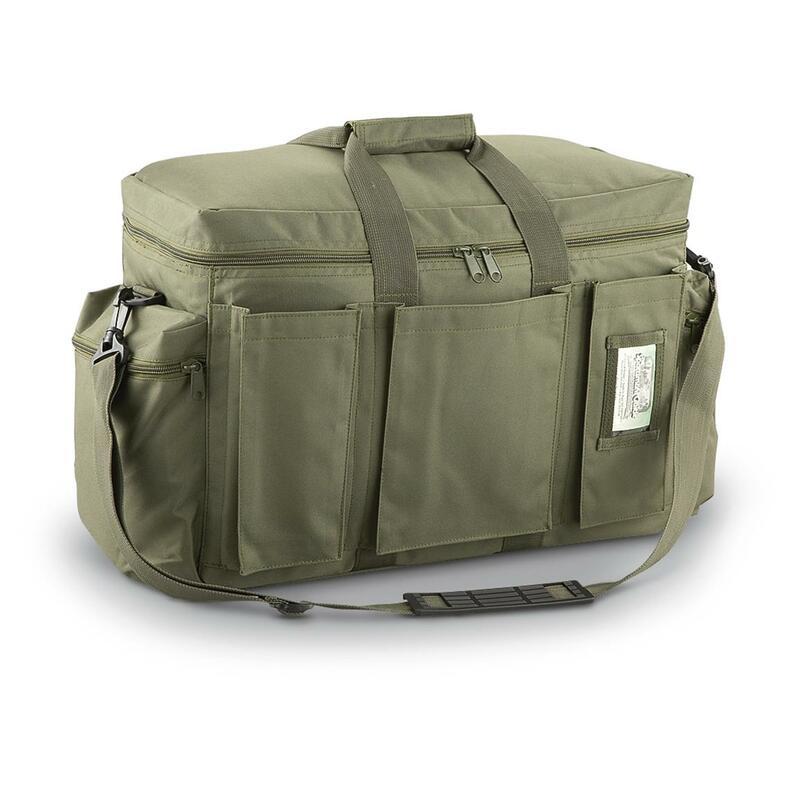 Dimensions: 18.5" x 13" x 9"
Military Style Tactical Gear Bag is rated 4.7 out of 5 by 93. Rated 3 out of 5 by rebelraider from Last one Overall the bag is a great size and fits my needs but the quality is poor. For the price its hard to beat and I have now purchased 3 of them but this will be my last. The first held up for a while but the bottom wore holes in it from everyday use and the digital camo color faded and made the bag look partially pink so it had to go. The 2nd and 3rd bag I purchased had the same thing happen, the shoulder strap ripped from the bag because it cannot take much weight on it. I tried to have it fixed but it was easier to buy a replacement. The bag is still usable with the handles but I want the convenience of the shoulder strap. This one will go in the closet until its needed but it will not be replaced again. Rated 5 out of 5 by Joe 2018 from Plenty of Room Great bag with plenty of room for all your gear for the range. Rated 5 out of 5 by JNEEL2 from Great place to shop and buy! I really enjoy shopping here, and the Club 4-Pay is a great option for payment. The Club 4-Pay membership cost more than paid for itself in my first purchase. Shipping is fast and items are delivered quickly. Rated 5 out of 5 by Hmmm from Nice bag Great bag, especially for the price! Rated 5 out of 5 by Terry from Great Look and Great Fit Very versatile bag for using during hunting season and storing your hunting equipoment. Rated 3 out of 5 by John from Decent Bag - Some Quality Issues Overall, I like the bag. However, when it came in the mail, I went to put in the panels that give the bag its hard sides and on one of the pockets, the Velcro completely separated from the bag. I am unable to secure the panel in the bag. Rated 5 out of 5 by gdb4x4 from Great Price Great bag, just the right size. Could use snaps or Velcro on the front pockets. Will refer to anyone looking for a good travel or utility bag.